IN WALKING DISTANCE OF BUS STATION, BANKS, SUPERMARKET, SHOPS, RESTAURANTS, PETROL STATION etc. WE OFFER AIR CONDITIONING HOMELY ROOMS TO LET, FULL EQUIPPED WITH ASTRO & WATER HEATER. OUR PLACE IS VERY SUITABLE FOR WEDDING PURPOSE, SINCE THE ROOMS ARE ELEGANT, AFFORDABLE & COMFORTABLE AND THE AREA IS SPACIOUS. WE ALSO HAVE BUS RENTAL. 这民宿也提供了各种适合团队参与的户外活动，包括国家公园、大象村，爬山洞等等。We provide customized team building programe. * All the prices are exclude 10% government tax. √ Extra Bed - RM20.00 per Pax. 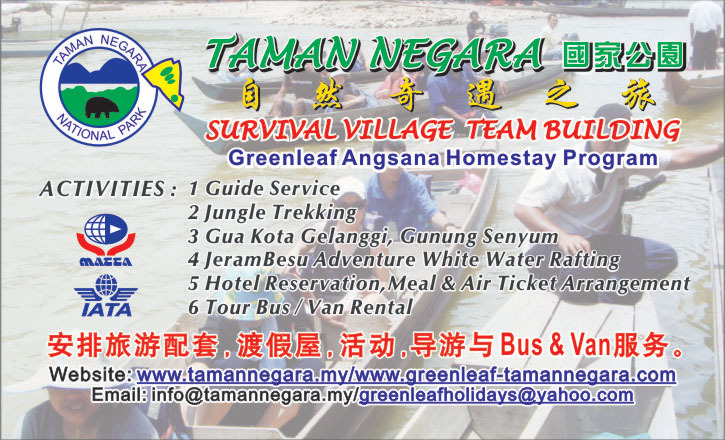 For your complete peace of mind, come to experience the Greenleaf Angsana Traveller's Home hospitality. We assure you the best in Malaysia hospitality. Environment of Greenleaf Angsana Traveller's Home. 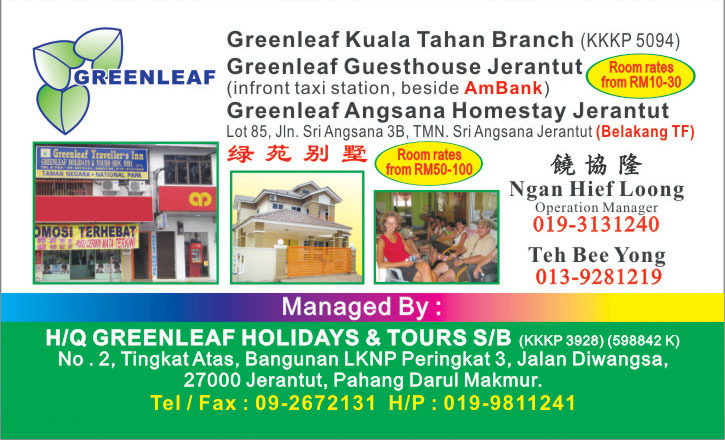 Greenleaf Angsana Traveller's Home is just 3 minutes from the TF Value Mart. The name of the street is Jalan Sri Angsana 3B. The house number is 85.